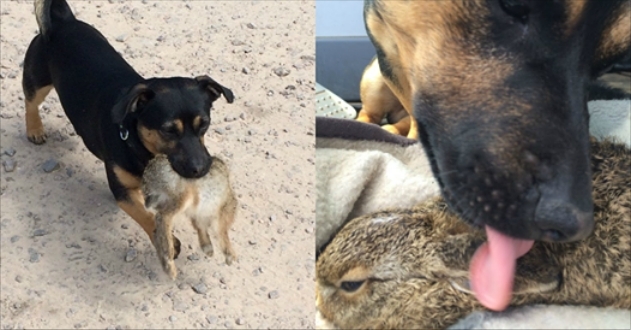 A Terrier became an unlikely foster dad for a sick baby hare after taking it under its wing and nursing it back to health. 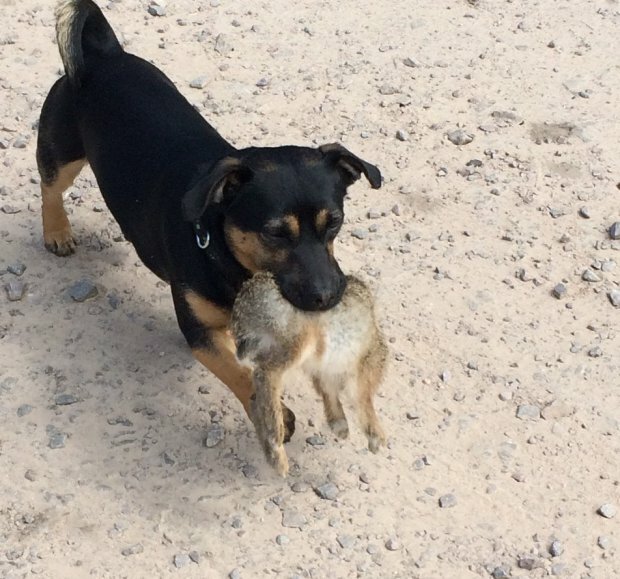 Fraser Dwenger, a digger driver, feared the worst when he saw his dog with a leveret clutched in his mouth. 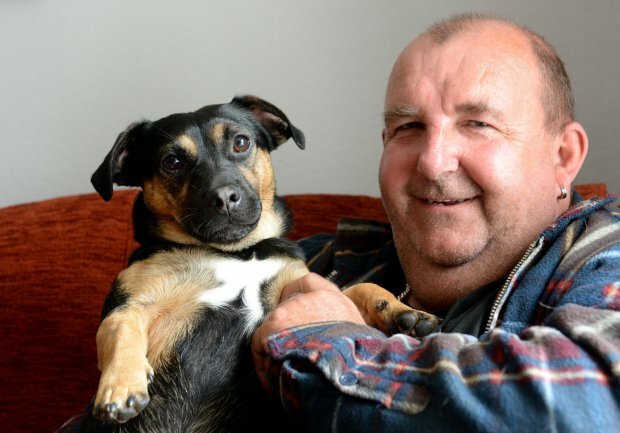 But Tartan, a Jack Russell cross, was only trying to help the sick animal. Despite the dog breed’s reputation for chasing and hunting smaller animals, Tartan instead wrapped the hare in his blanket, licked it clean and spent the day guarding over it in the digger’s cab. Fraser, who has owned terriers for many years, was taken aback by Tartan’s nurturing behaviour. He said: ‘We were on our tea break when I noticed Tartan running down the track with something in his mouth. Closer inspection revealed it was a baby hare. When it was time to go home, Fraser called for Tartan who immediately picked up the hare in its mouth and carried it to the van. The hands on dad then wrapped it in a blanket on the passenger seat and continued to guard it. Fraser and his wife, from Dingwall in Scotland, bought rabbit food and set up one of their dog cages as a safe place for the sick animal. After time spent recovering, Tartan constantly by its side, the hare recovered and Fraser was able to release it back into the wild. 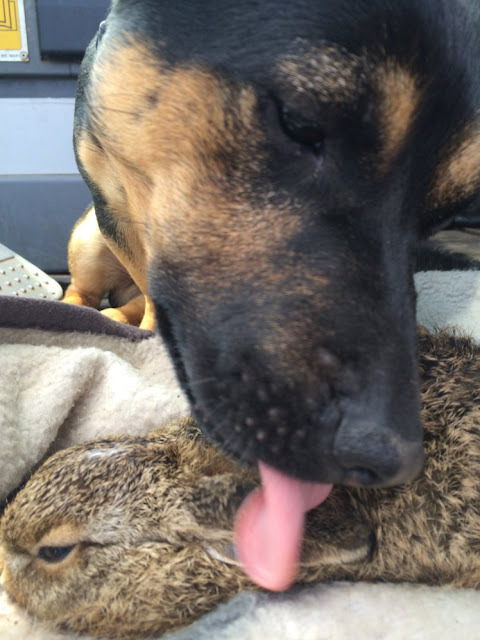 Responses to " Dog Adopts Sick Baby Hare And Nurses It Back To Health "
I had an Austrailian Shepard bring us a new born baby rabbit that's mother had just been killed by a cat. What a wonderful story! 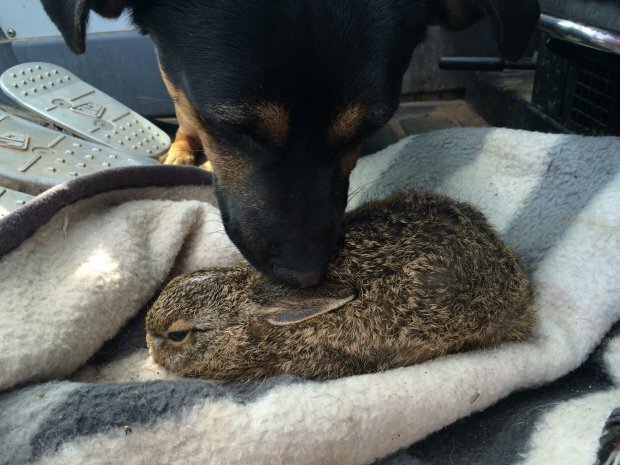 How lucky the baby hare was being taken cared of by a doggie.